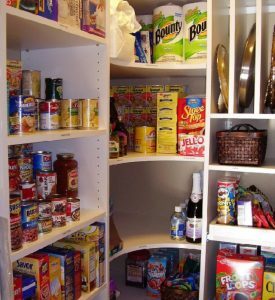 You may have a small area as a kitchen pantry. But it is not important. With proper organising kitchen pantry; you can get the best from all areas. For some houses pantry consists of shelves, for some, there is a room separated as a pantry. How to Organize Kitchen Pantry? Start organising kitchen pantry by pulling out all the ingredients. Dispose of the components that exceed expiration date. Let’s start with grouping. Separate ingredients like baking ingredients, canned foods, dry foods. So you can more easily find the material you’re looking for. Also, separate your quick breakfast materials like cereals. This is a really functional idea for organising kitchen pantry. Some foods are frequently used like flour and tomato paste. Separate frequently used foods and make a zone for that. Put this entire material easy place to reach. This saves you a lot of time. If you do not want to see a mess consisting of dry food packages and bags, you should buy airtight glass or transparent plastic storage containers. This is a really useful idea for dry foods. These containers should be airtight to protect foods from insects. You should choose transparently or glass products to see easily what is inside. Baskets are really helpful for organising kitchen pantry. You can put packaged foods in it to prevent messy look. Or you can use food materials like napkins. There are many functional designs are available. 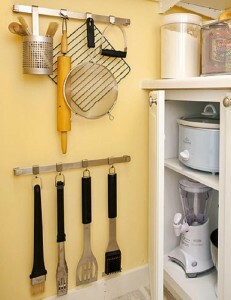 Pantry hangers and clips are really useful for organizing kitchen pantry. 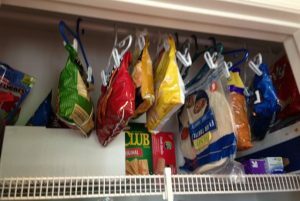 You can hang your packaged foods by clips as you can see below. This is a good design that you can place your kitchen tools. You can use this design for tidy kitchen pantry. Spices are sold in tiny bags it is important to keep them small airtight containers. So you can prevent spoilage and spill. 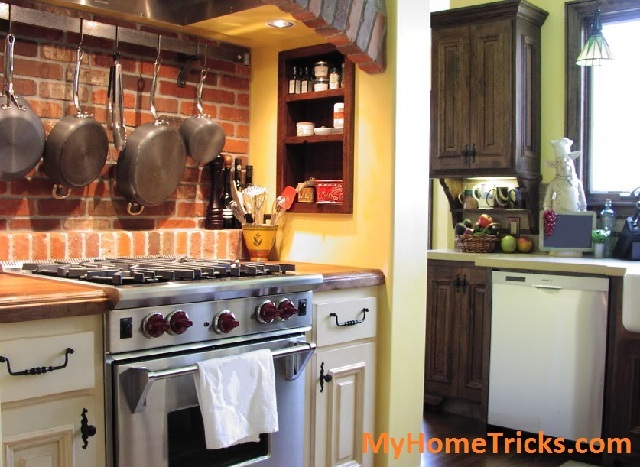 You can place small jars of spices on the shelf while you are organizing kitchen pantry. 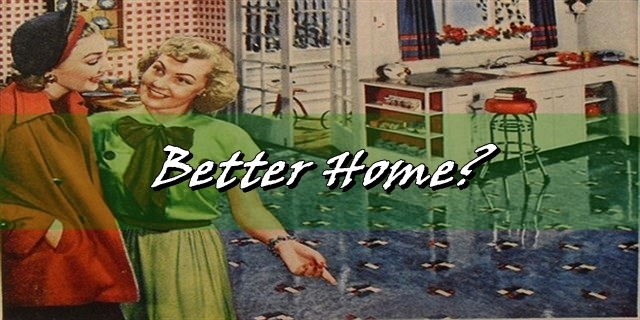 How To Plan A Kitchen Remodel? 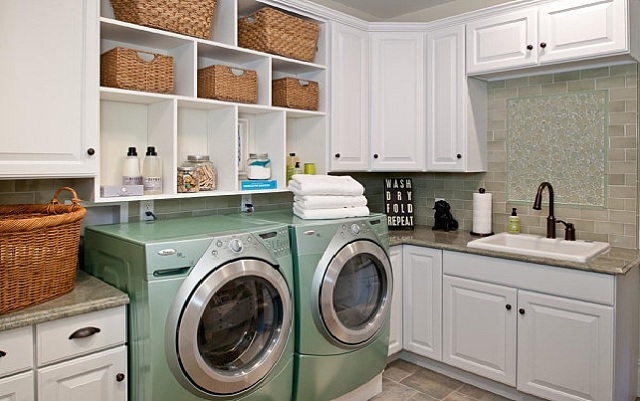 Organizing Closet – How to Organize Your Closet How To Plan Your Home Office Design? 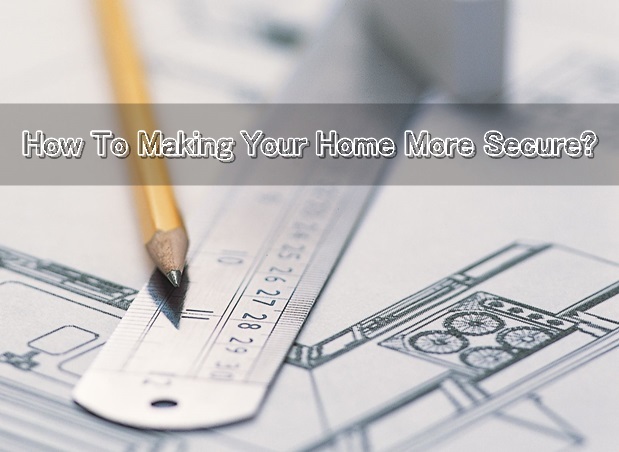 Create Interior Design Styles for Your Home Bathroom Design Ideas for Your Small Bathroom Kitchen Organizing Tips How to Organize Laundry Room How to Increase Your Home Security?